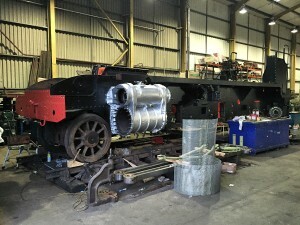 Since the last update, the N class team have made great progress with the overhaul. Volunteer numbers have reduced slightly recently but, hopefully, this is just due to the good weather and longer evenings. 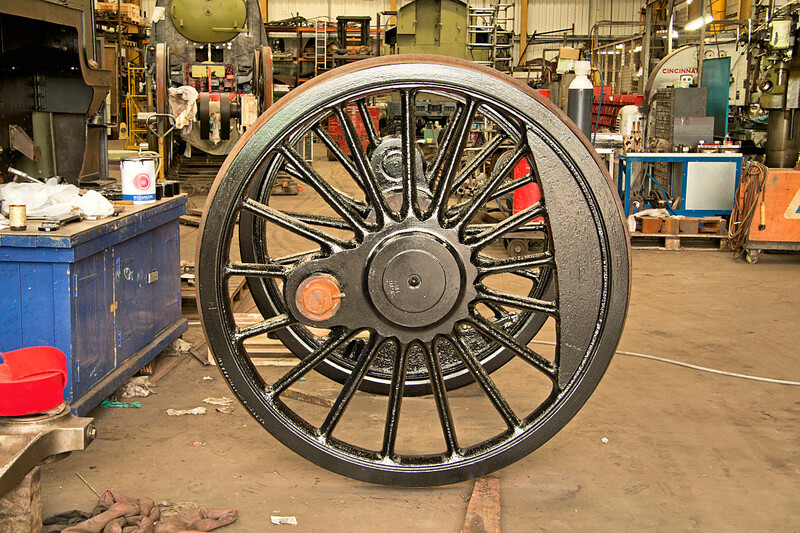 The tender wheelsets are now finished in gloss. 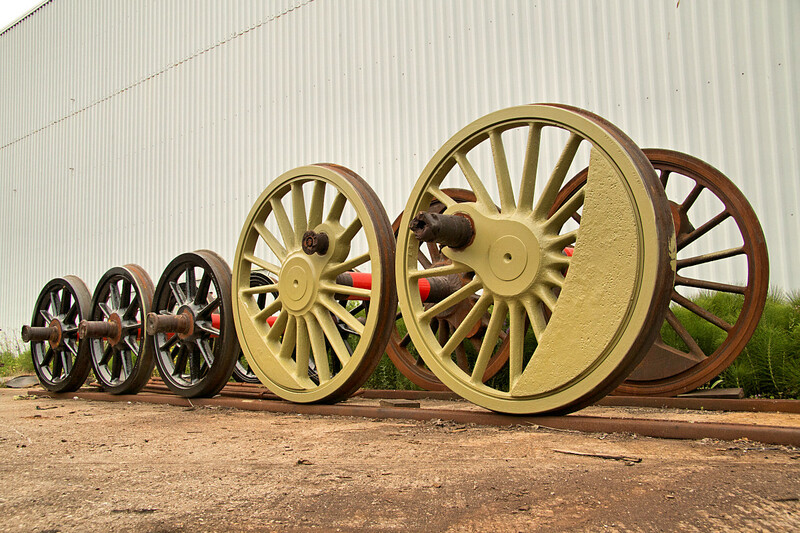 The driving wheelsets are progressing, with one set finished in gloss, and the other two in primer. Tyre measurements have been completed with all tyres found to be serviceable. 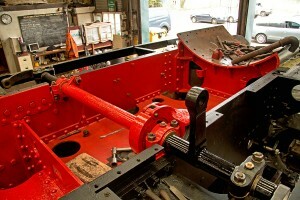 The overhauled cab has been trial fitted and adjusted. 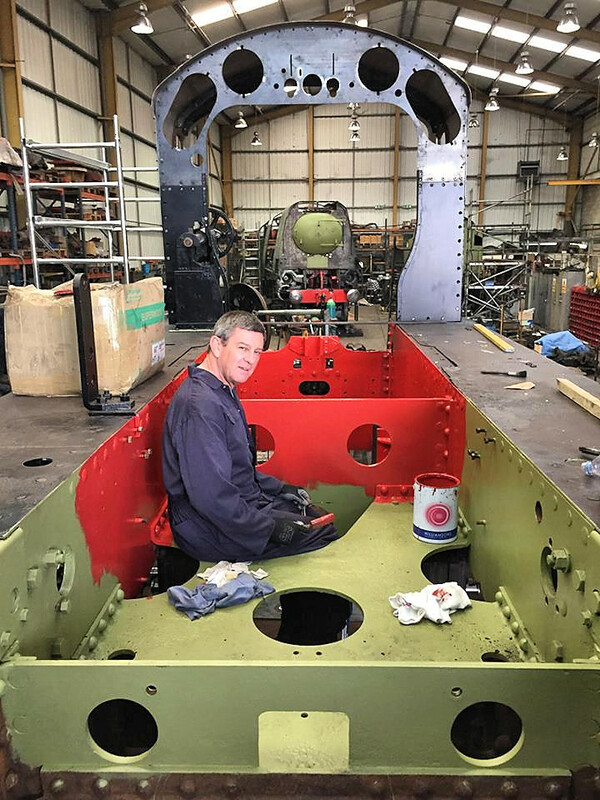 Only the original framework is being re-used, with all the sheeting being new material due to the old cab suffering serious corrosion. 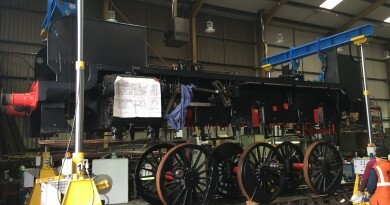 The cab has been disassembled for painting, which is now almost complete, prior to final assembly. 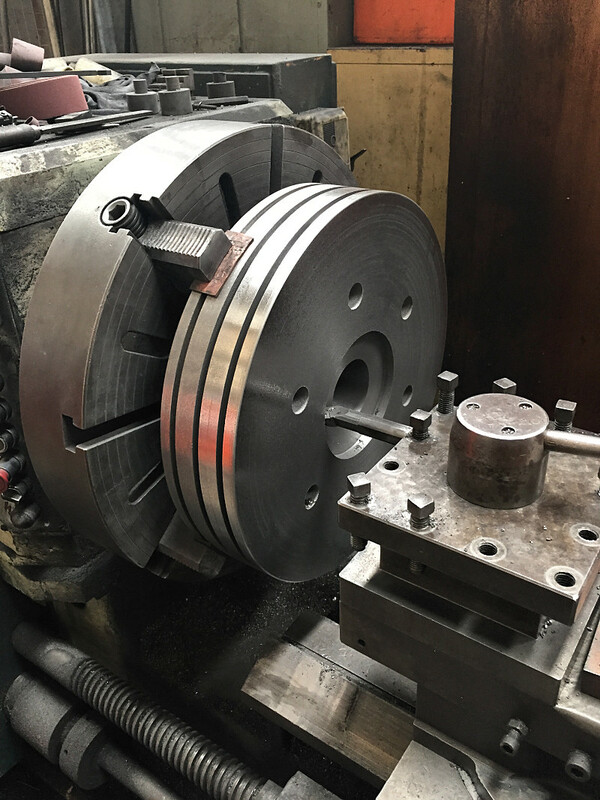 All brake rigging & frame hanger brackets have been fitted with new bushes, and new pins have been machined, hardened and ground to the correct diameter. 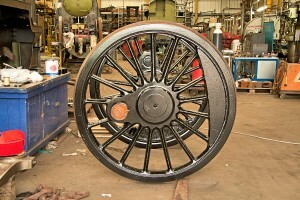 All brake gear now is now in the process of being painted. 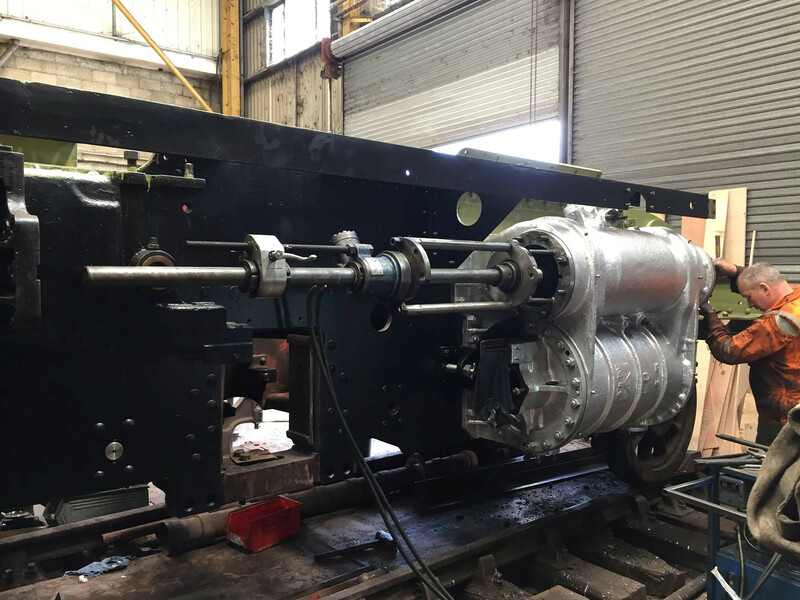 The steam brake and vacuum brake cylinders are all in the process of being overhauled, with new pins and seals as required. The overhauled reverser assembly and the reverser stand is now refitted to the cab, the reverser weigh shaft has been overhauled and fitted to frames and now the steam operated reverser clutch is in the process of being refitted. New valve liners are in the process of being machined by Bryn Engineering, and they are due to come to Herston to fit them to the cylinders during July. 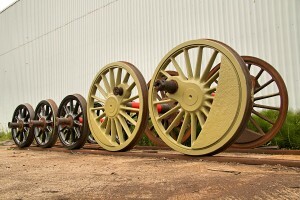 The valve crossheads and slidebars have been overhauled, and the valve spindles have been machined. When the new valve liners are fitted, the original valve heads will be machined to suit the new valve liners. 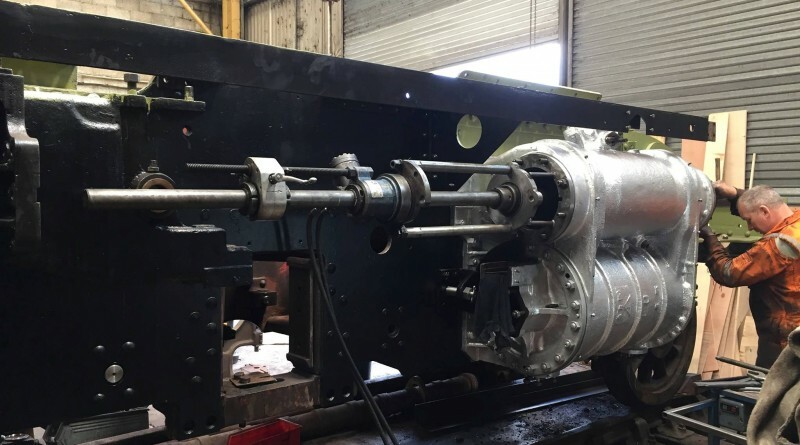 Other items being worked on include the buffers for both the loco and tender, the valve spindles and piston rods have both been machined and the new piston heads have been machined. Progress on the boiler at Adam Dalgleish’s workshop includes the new inner backhead being formed and welded to existing inner firebox, whilst the new outer backhead and front tubeplate are in the process of being formed. 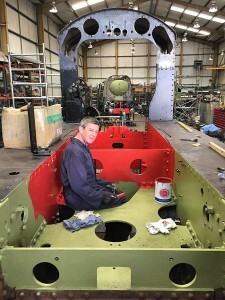 The foundation ring has been repaired and bolted back in place to act as a jig for fitting the new backheads and side plates. 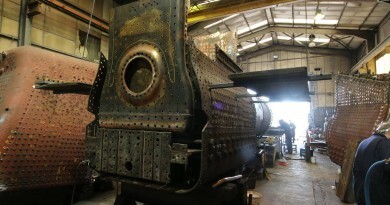 Once the firebox is complete, the foundation ring will be riveted back in place. 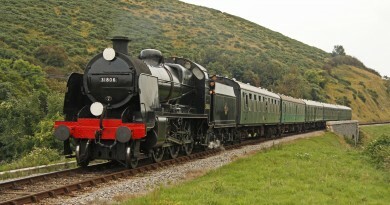 The regular working party on 31874 is still every Wednesday evening from 16.30 until 21.00, but they are sometimes held on other days by prior arrangement.